I leave Pensacola, Florida, today. Given that this is my last blog from this outpost I thought I’d reflect on a Pensacola institution, Joe Patti’s Seafood. 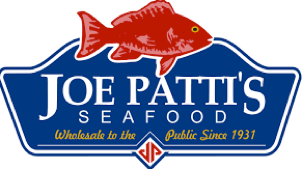 Joe Patti’s is a seafood emporium offering dock-fresh fish at wholesale prices to the public since 1931. It started on the front porch of the Patti home. The business is now housed in a warehouse and grosses more than $25-million a year. It’s open seven days a week, 361-days a year from 7:30 AM – 6:30 PM. However, this musing isn’t about my appreciation for Joe Patti’s many varieties of fresh seafood. Or its growth from humble beginnings to stretch well beyond the borders of Pensacola. Nor is this about the founder’s philosophy of selling only the highest quality fish at a fair price. Neither is this about Papa Joe Patti’s goal to create customers who are “happy regulars.” Nor is it about the knowledgeable and friendly service, or its 4.8 Google customer satisfaction rating out of 5.0 from more than 5000-customers. Instead, this contemplates on how Joe Patti’s Seafood helped fuel the market for shrimp. 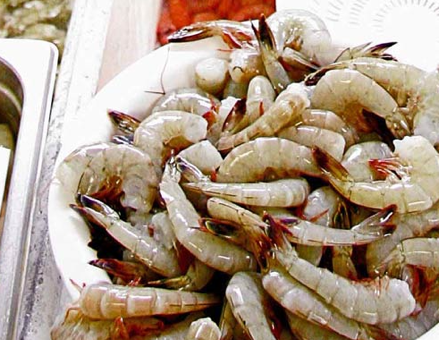 Shrimp is the most consumed fish in the U.S. In 2017 it grew to its highest level of consumption, 1.5-billion pounds, which translates to 4.4-pounds per person. There’s Shrimp Alfredo, Garlic Shrimp, Popcorn Shrimp, Shrimp Enchiladas, Fried Shrimp, Cocktail Shrimp, Shrimp Stir Fry, Shrimp Salad, Chili Lime Shrimp, Shrimp Fajitas, Shrimp Ceviche, among many other ways to prepare and eat shrimp. It’s no wonder that shrimp is so popular. However, it wasn’t always so. At one time, shrimp was considered bait for fishing. Not for the dinner table. But according to octogenarian Frank Patti Sr., in a Fall 2018 interview with Kelly Oden for Coming of Age – Lifestyle Magazine for Seniors, Joseph Cesaroni got the market going. Cesaroni, an Italian-American from Savanah, Georgia, had about 15-shrimp boats. When WWII began the U.S. government provided him with radios and asked him to report enemy periscopes to the Coast Guard or Navy. He agreed but wanted to sell shrimp to the military bases. The government bought the shrimp and military personnel brought their taste for shrimp back to their homes following the war. Joe Patti’s Seafood provided shrimp to the Gulf Coast and, today, helps satisfy that hunger throughout the country. The creation of the market for shrimp made me appreciate that we, marketers, need to create a market by stimulating demand for all new products or brands. It is creating a market where none existed, as in the case of shrimp. Alternatively, it is creating a market for the new entry where a market (or category) already exists. We, marketers, are market creators, creating customers. For our products. Start with a quality product – Not all shrimp is the same. Farm raised shrimp is not the same as wild caught shrimp from the sea. Antibiotics are used to treat farm-raised shrimp. Joe Patti’s shrimp are wild caught, from the Gulf of Mexico. 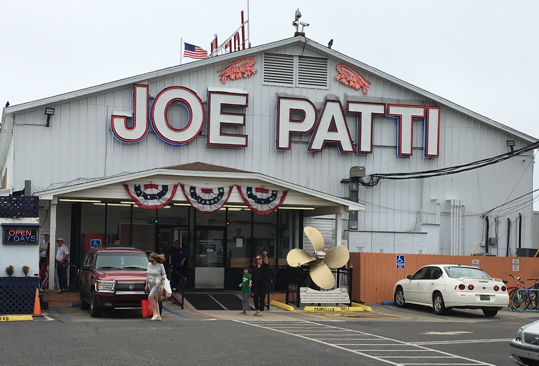 No farm-raised shrimp for Joe Patti’s Seafood customers. Their shrimp is among the best, if not the best, I’ve ever eaten. Identify the correct segment for adopting your offering and helping broaden it – This is the place where you start to anchor a successful market. In the case of creating a market for shrimp, it originated in a particular segment – the military, and bases in particular. Military personnel who discovered shrimp then went on to evangelize and spread their taste for it via word of mouth. Similarly, we need to find evangelists for our brands who will help us create (or build) our market through their word of mouth. Health care marketers make use of KOLs (Key Opinion Leaders), FMCG (Fast Moving Consumer Goods) companies may popularize with celebrity usage or specific consumers who are key influencers. However, we should reassess whether these are the appropriate targets and be on the lookout for new ones. Educate your customers about your brand – Education could be about the benefits of adoption or the differences in your offering versus the competition. It’s not education for the sake of knowledge but for target-customers to appreciate your offering and have a good experience that will compel them to come back for more. 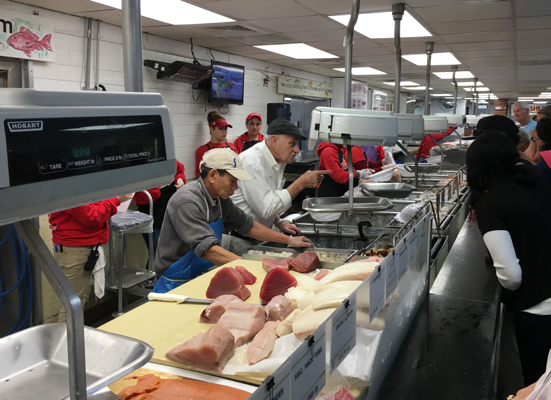 Frank Patti Sr. works in the outlet to call out customer numbers, oversee the operations and service, and even educate customers regarding ways to prepare fish. I captured Mr. Frank sharing with customers ways in which they might prepare a fish selection in the photo below. Education is particularly important for health care products (i.e., pharmaceuticals and medical devices) but can be instrumental for consumer products as well as in the case of shrimp, Jell-O, Arm & Hammer Baking Soda, etc. Champion your cause to fuel demand – Share your passion for the offering freely. We need to champion what we believe if we are to fuel demand. I’m sure this is what keeps Frank Sr. coming to work 361-days a year. We can champion our cause through advertising, congresses, public relations, use of social media, a host of ways. It requires that we find ways to develop a compelling brand story, and get and keep it out there in the marketplace. Feel free to use the aforementioned recipe or adapt to taste to create a market for your offering.